BERLIN — German Vice Chancellor Sigmar Gabriel urged Saudi Arabia on Sunday to stop supporting religious radicals, amid growing concern among some lawmakers in Berlin about the funding of militant mosques by the world's biggest oil exporter. The unusual criticism of the Gulf state follows a report by Germany's foreign intelligence agency which suggested that Saudi foreign policy was becoming more "impulsive". The German government rebuked the BND agency for making such suggestions about Saudi Arabia, an important business partner that is involved in international talks to find a political solution to the Syria crisis..
"We need Saudi Arabia to solve the regional conflicts," Sigmar Gabriel, the head of the Social Democrats (SPD) who share power with conservative Chancellor Angela Merkel, told the mass-circulation newspaper Bild am Sonntag. "But we must at the same time make clear that the time to look away is past. Wahhabi mosques are financed all over the world by Saudi Arabia. 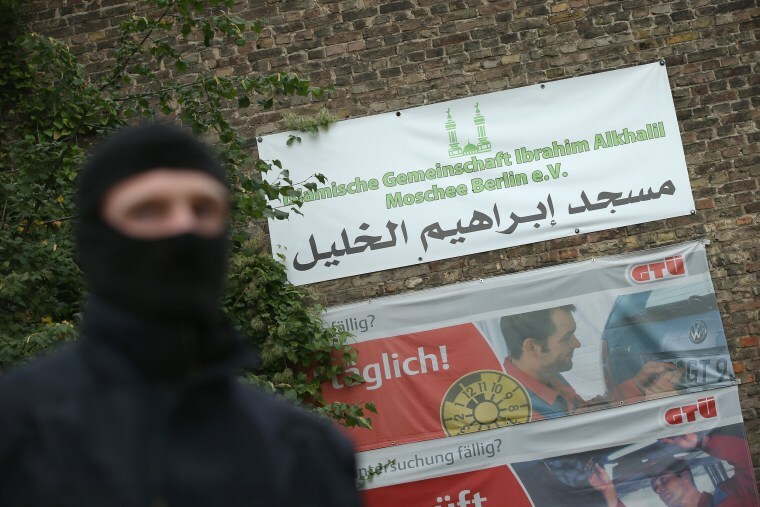 In Germany, many dangerous Islamists come from these communities," he said. Saudi Arabia follows the ultra-conservative Wahhabi form of Islam, and some outsiders see it as a cause of the international jihadist threat. In a statement, the Saudi Arabia embassy in Berlin said the Kingdom was interested in countering the radicalization of young people and referred to a previous statement in which it denied wanting to build 200 mosques in Germany. "Like Germany, we are part of the anti-Islamic State coalition and fighting side by side against terror," it said. The Saudis have cracked down on jihadists at home and cut militant finance streams, but some groups, including ISIS and al Qaeda, follow an extreme interpretation of the Salafi branch of Islam of which Wahhabism was the original strain. Germany is worried about growing support for Salafism. The domestic intelligence agency says the number of Salafists has risen to 7,900, up from 5,500 just two years ago. Another senior Social Democrat, Thomas Oppermann, also homed in on Saudi Arabia, saying Wahhabism offered a ideology for IS insurgents and contributed to the radicalization of moderates. "We don't need or want it in Germany," he told the weekly Welt am Sonntag. Germans are worried about a possible attack on their soil, especially after the bombings and shootings in Paris on Nov. 13 that killed 130 people. Responding to an appeal from France, Germany is sending reconnaissance jets, a frigate and 1,200 military personnel to join the fight against IS insurgents in Syria. It is not, however, joining U.S., French, Russian and British air strikes. The head of the Central Council of Muslims in Germany said military action was not the way to stop insurgency. "We have sown the seeds of war and it has resulted in terror and refugees," Aiman Mazyek told the Neue Osnabruecker Zeitung newspaper, referring to the war in Iraq which Germany opposed.